At Joy of Dance we believe every child should learn to ballroom dance. let’s start talking about how to make it happen. 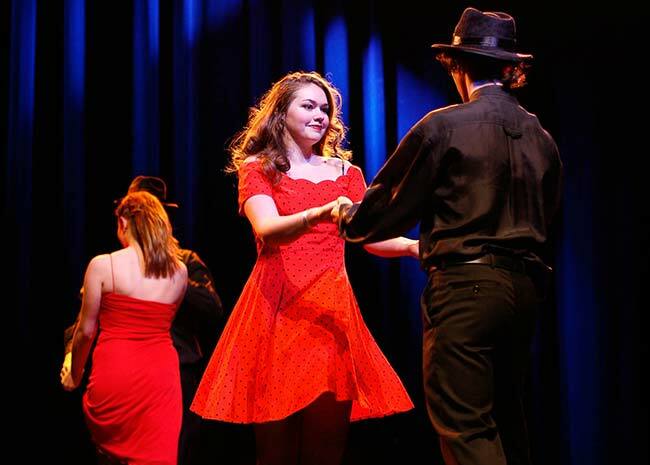 The Joy of Dance Scholarship Program (JDS) offers kids, tweens and teens the opportunity to explore the joy and community of ballroom dance in a way that is fun, safe, and taught by professional and experienced teachers. We believe every kid should have access to fulfilling their potential and are committed to providing that opportunity. In this program kids are constantly learning and progressing in a way that allows them to be themselves. They learn technique and style as well as how to express their feelings through the art of ballroom dance. We also provide mentoring and place a great deal of importance on team building, respect for others, oneself, as well as character building. Ages 7-10 on Sundays from 11:00 a.m. to 12:00 p.m.
Ages 10-12 on Sundays from 1:00 p.m. to 2:00 p.m. Teen level 1 on Thursdays from 5:00 p.m. to 6:00 p.m. Teen level 2 on Thursdays from 6:00 p.m. to 7:00 p.m.
During the year students will perform in showcases. Be your child’s hero by introducing them to the gift of ballroom dance. If interested, please fill in the form below and return your application to front desk or email it to nicole@joyofdance.ca by February 1. Joy of Dance is primarily self-funding and does not rely on grants or donations. As Joy of Dance Centre and Academy continues to grow and evolve, support through corporate contribution will play a vital role in enabling us to increase scholarships, build our outreach program, support our dance companies, create new initiatives and more. We are pleased to offer a range of opportunities to align with your organization’s philanthropic objectives and business goals. With a gift of $2,500 or more, a scholarship can be established in the name of the donor, or in honour or memory of someone special. Donors may fund a scholarship on an annual basis, or permanently endow a scholarship at Joy of Dance to create a lasting legacy that will support talented young artists for generations to come. Please fill in the questionnaire below to the best of your ability. There are 10 questions. It will take about 10-15 minutes. Thank you for your interest in Joy of Dance Ballroom Program. Please answer the following questions in the space provided below. Alternatively, you can send your answers in an email to nicole@joyofdance.ca in your convenience. 8) What goals do you hope to achieve by participating in the Joy of Dance Ballroom Program? 9) Please explain why you would benefit from this scholarship? 10) Please describe your previous experience with ballroom dancing. 11) Any other comments/questions for us? To be eligible to attend class on scholarship, students are expected to exhibit a high level of commitment through attendance, teamwork and focus, as outlined in the class requirements. Failure to follow these requirements may lead to dismissal from class for the remainder of term. • Maintain consistent attendance, with no more than three absences per term. Exceptions may be made in extreme circumstances determined between the student and their teacher. • Contact studio and/or teacher before class if you are going to be late or are unable to attend. • Wear footwear and clothes that will allow you to move freely. • Turn off cell phones and all other electronic devices during class. • Show respect towards yourself, your teacher, and fellow students. • Participate. Students will be expected to participate fully in class by dancing with various partners (as decided by the teacher), dancing as both a leader and follower (regardless of gender), and pushing themselves to improve with every class. Should any issues arise between dance partners, please discuss this with the teacher immediately. 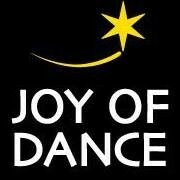 Joy of Dance wants to ensure a safe and enriching environment for all. I acknowledge these requirements and accept them as part of the application to the program.